Ok, fine. I admit it. It’s a pretty great album. You’re right. I missed out. I should have given it more of a chance all these years. 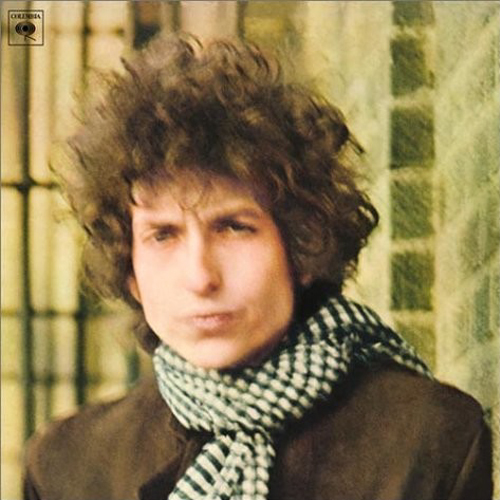 Blonde on Blonde, ranked by Rolling Stone as the ninth best album of all time (and the second best by Dylan after Highway 61 Revisited), is really really good. It’s true. I’ve listened to this album about twenty times this week, or at least most of it. Every single time (except the first) I skipped “Rainy Day Women #12 & 35”. I’m listening to it right now, and I just hit the next button on my phone as it looped around again. I just can’t stand that song. Side One: One awful song (“Rainy Day Women”), two that are fine (“Pledging My Time”, “One Of Us Must Know”) and one all-time great (“Visions of Johanna”). Side Three: Everything is good: “Most Likely You Go Your Way”, “Temporary Like Achilles”, “Absolutely Sweet Marie”, “4th Time Around”, “Obviously Five Believers”. Of these, “4th Time Around” was the biggest revelation to me on the whole album. This is a sort of response to John Lennon’s “Norwegian Wood” (which it imitates musically quite convincingly). I play “Norwegian Wood” on the banjo (sometimes even passably…) and I could probably play this too without only very slight modifications. Apparently Lennon took this song as a warning from Dylan not to appropriate his cryptic lyrics. I also really love “Obviously Five Believers”, which is just a great honky-tonk song. Side Four: “Sad-Eyed Lady of the Lowlands”. Not great, not bad, sort of glad that it’s there, but not something that I listen to every time through. Basically, if you took sides two and three, threw on “Visions of Johanna” instead of “I Want You” and deleted everything else, this would be Dylan’s greatest album. What is really amazing is that there were six other songs finished for this album but which weren’t used. Of those, “I’ll Keep it With Mine” is fantastic, “She’s Your Lover Now” is very good, and “I Wanna Be Your Lover” is at least good. Throw “I’ll Keep it With Mine” on an album with the second and third sides and you’ve got an album that is likely much better than Highway 61. The cover for this album has always mystified me because the photo, by Jerry Schatzberg, is blurry. Apparently it was taken in the meat packing district and it was cold and Dylan was shivering and so it was out of focus, but Dylan liked it best. Well, that’s kind of boring. Sorry. More interesting are the photos on the inside of the gatefold. The image of the man who is not Dylan is photographer Jerry Schatzberg. 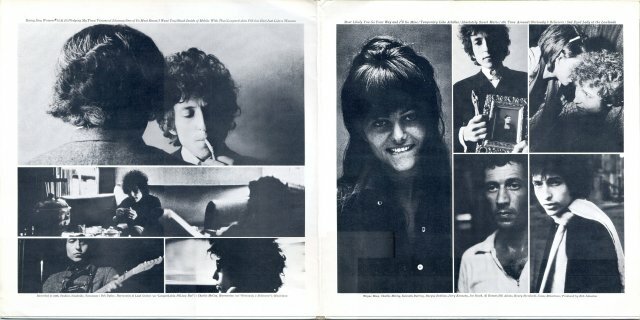 The woman in the solo picture is Claudia Cardinale, from 1963, a photo that Schatzberg had in his studio and that Dylan liked and so included. Later (1968 onwards) pressings of the album omit this photo as they had not secured Cardinale’s permission. Apparently this makes the ones with Cardinale more collectible. Luckily, that is the one that I have! But…. I just pulled my vinyl copy out of its sleeve because I wanted to see the exact breakdown of songs per side, and I discovered that one of the disks was a copy of Highway 61 Revisited. So I checked my copy of that, and it is also a copy of that album. So somehow I have two copies of Highway 61 and only the second vinyl disk of Blonde on Blonde. If I actually owned a turntable this would be a bigger problem, admittedly. I guess this means that my collectible copy of Blonde on Blonde is valueless. Alas. Here’s “4th Time Around” in Dublin from the 1966 tour. You, sir, have a capacity for disliking the classics.